Yesterday, off early, bright sun, beautiful day! It was my chance to try something I've been wanting to experiment with. 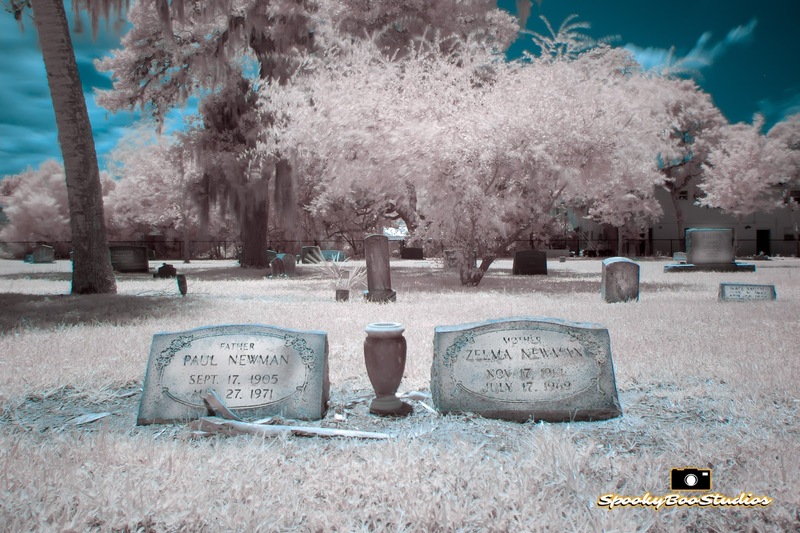 Infrared Photography in a cemetery. 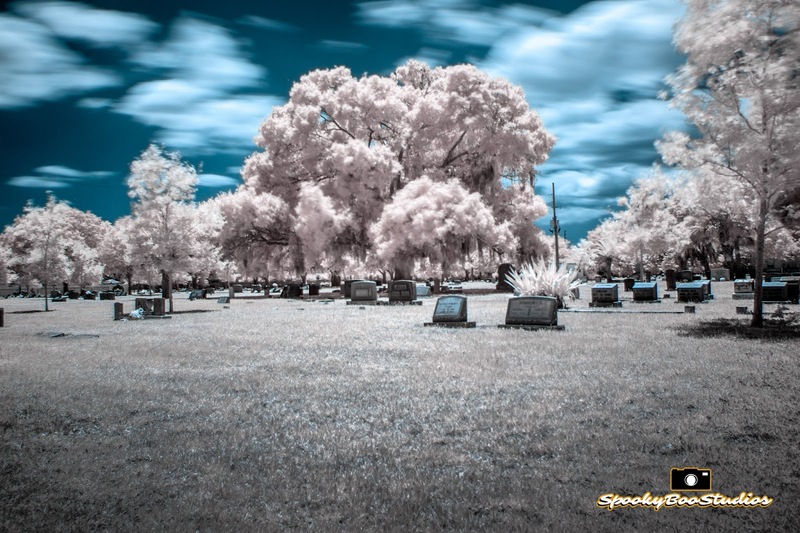 The combination of all the green grass, trees, and the tombstones make for some interesting shots as I had seen in other photographer's work. There's a couple way to shoot infrared photos. You can use a filter on your lens that blocks most visible light. I guess the preferred method is a IR converted camera. 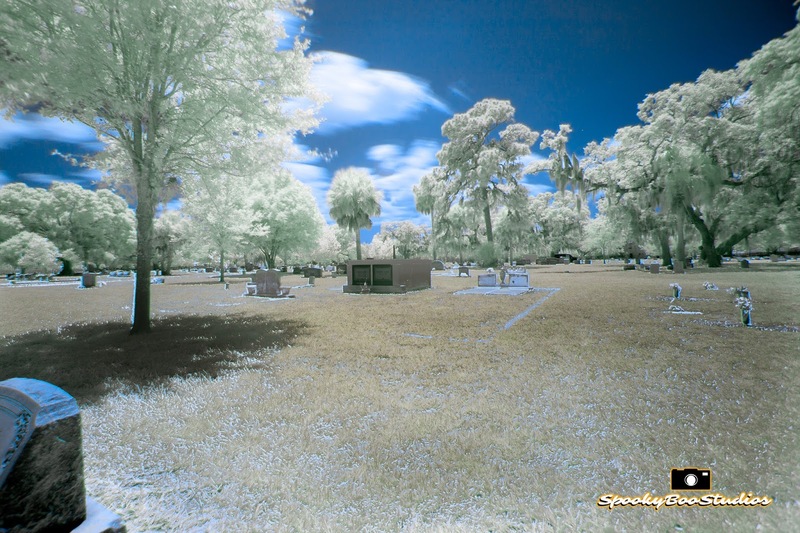 There's good and bad to both methods, but for now I'm using a filter (hoya r72 for anyone interested). 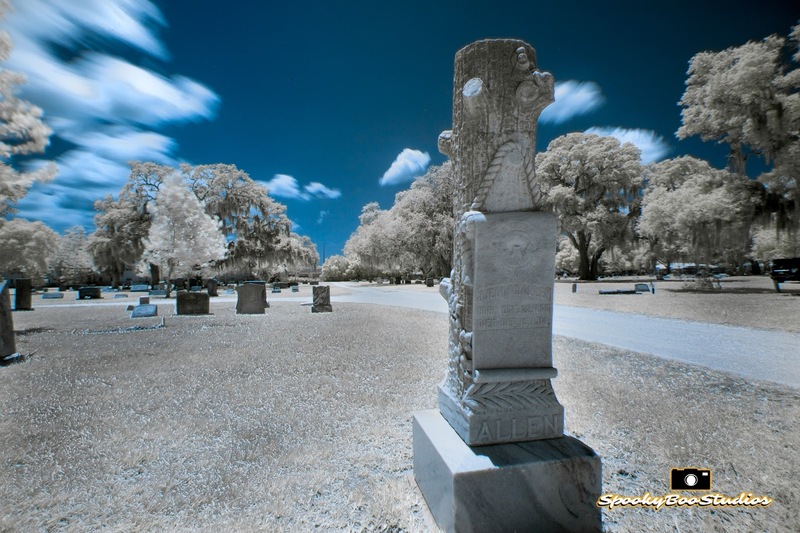 Using a filter requires a tripod and some long exposure times. This is why you'll see the dreamlike smeared clouds, and blurring of the tree leaves. Founded in 1887, Largo Municipal Cemetery is much more interesting then the name would imply. Well kept, with newer graves mixed amongst the old. There's actually a headstone inscribed with the infamous "I told you I was sick"! I never would of stumbled across this gem of a cemetery if not for the game of Geocaching as there was a cache here (and may still be. I don't know). One of the more interesting tombstones here. It's known as "The Man in the Tree" to local Geocachers. Some of the trees here are magnificent! Want to be informed of updates? Hey! 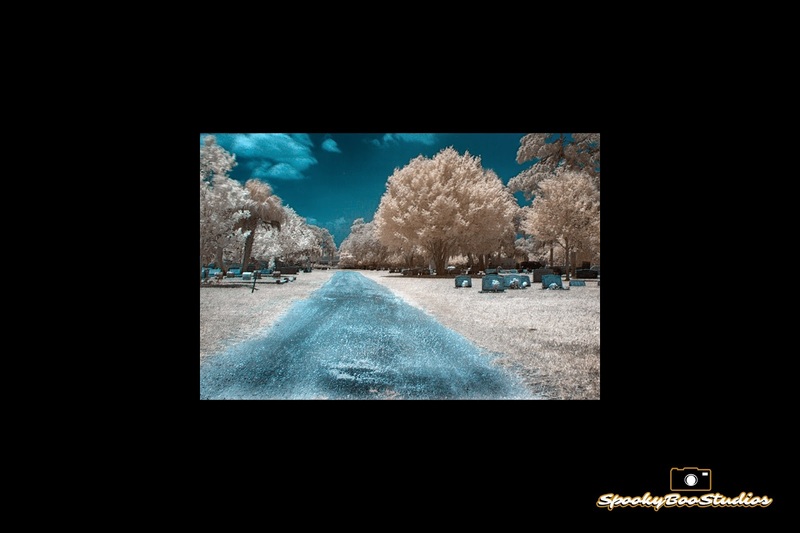 It's me, Jim Robinson and as you might of guessed, I use the SpookyBooStudios name for all my online activities involving photography.